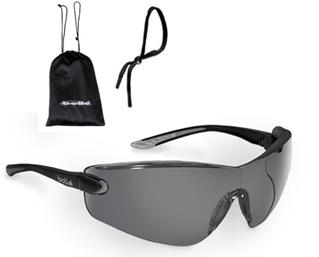 Bolle Cobra #40038 With Smoke Gray Anti-Fog and Anti-Scratch Lens. 18618 or 18619 Pink Safety Glasses. Choose Clear or Grey. SAME LOW PRICE!